After seeing how little Lost World and Jurassic Park III added to the legacy established by Jurassic Park, I was not particularly excited when Jurassic World was announced. Still, as release approached, my anticipation grew and as the generally positive reviews rolled in, I became hopeful that the movie might capture some of what made the original so awesome. Quite coincidentally, I ended up watching Jurassic Park the week Jurassic World dropped. And now I can’t help but wonder what my reaction to Jurassic World would have been if I hadn’t re-watched Jurassic Park last week. John Hammond’s vision for a dinosaur theme park has finally been realized and expanded upon in the wildly successful “Jurassic World”. But the park’s guests have quickly become accustomed to the spectacle of seeing living, breathing dinosaurs and now the park’s management has to scramble to figure out new ways to keep customers coming. They land on the solution of designing new dinosaurs, like the deadly Indominus Rex, to spark new fascination. 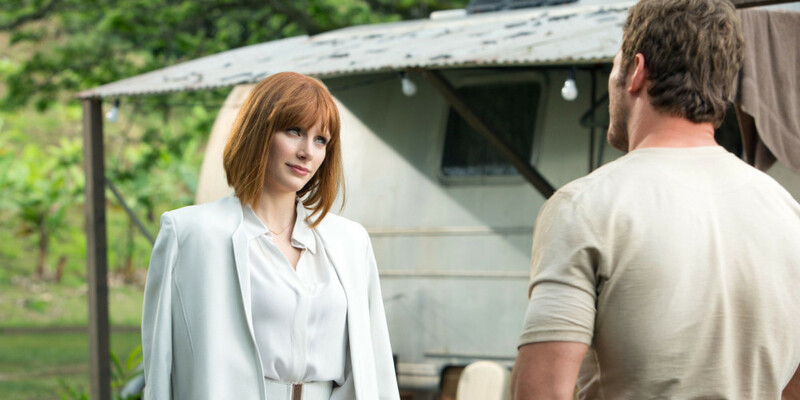 But when the Indominus Rex escapes its containment paddock, dinosaur trainer Owen (Chris Pratt) and park operations manager Claire (Bryce Dallas Howard) scramble to end the dinosaur’s rampage before the lives of the thousands of park’s guests are threatened. “… your scientists were so preoccupied with whether or not they could that they didn’t stop to think if they should” – Dr. Ian Malcolm Judging by the shocking, record-setting success Jurassic World has enjoyed through its first weekend, I’m aware I’m more than probably in the minority when I say that this is not a movie that needed to exist. And I think the creative/story decisions made in the movie support that. There isn’t anything new to consider here that Jurassic Park didn’t posit over 20 years ago. Tampering with nature is bad. Nature cannot be controlled or manipulated to serve whatever our needs may be. And like the creators of Jurassic Park, the creators of Jurassic World learned these facts the hard way, even with the original failure’s lessons right in front of them. If the point was that humanity is doomed to repeat its mistakes, it was barely addressed in the movie by the characters, which strikes me as just primarily weak writing and overall makes me feel like all they’ve built is an inferior remake. The references to Jurassic Park were numerous (Jeff Goldblum’s Ian Malcolm on a book jacket, John Hammond’s “Spared no expense”, etc.) and for the most part were pleasant. But what stood out to me, and speaks to larger issues with the continuation of this franchise, is what little impact the use of John Williams’ iconic theme had. In the original, that majestic theme was used as the backdrop to the revelation that LIVING DINOSAURS ARE WALKING AROUND. In Jurassic World, that theme is the backdrop to THIS PLACE IS KIND OF LIKE DISNEY WORLD. It doesn’t exactly inspire awe in the same way. And this actually applies on a larger scale throughout the movie. In Jurassic Park, the reveal of the T-Rex is spectacular. It’s alluded to earlier on in the movie, and when that T-Rex finally shows itself, the audience is stunned by the sight of this huge, prehistoric killer. 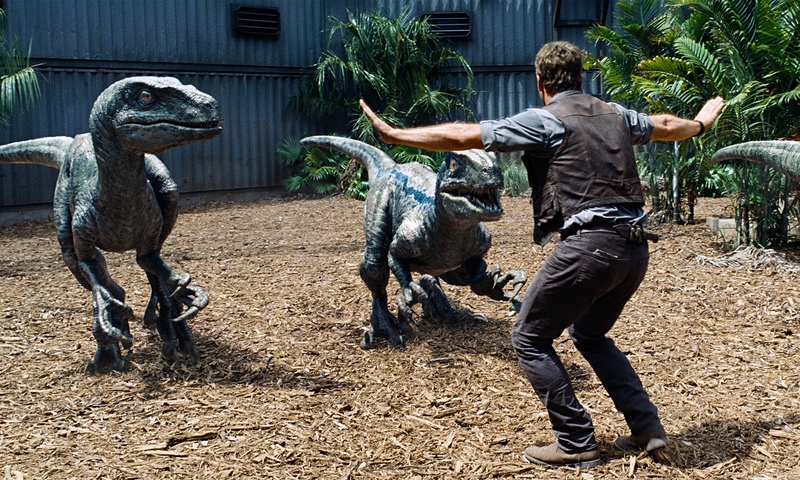 But in Jurassic World, our feelings parallel those of the park-goers… dinosaurs are old hat. They can try to up the stakes by making the dinosaurs have new strengths and abilities, but the reality is that the magic is gone. These aren’t even dinosaurs anymore… they’re just miscellaneous monsters. I’m not sure how that magic can be recaptured, but given the movie’s incredible financial success, there’s no doubt someone will give it a try in the inevitable sequel. Like many of his fans, I grew to know and love Chris Pratt as the lovable lunkhead Andy Dwyer on Parks and Recreation. Seeing his continued transformation from that pudgy idiot into a legitimate (but still funny) action star has been awesome. I heard someone call him the next Harrison Ford, and while I hesitate to go quite that far, the comparison isn’t outlandish. Pratt has a long way to go, but I can definitely see the potential. 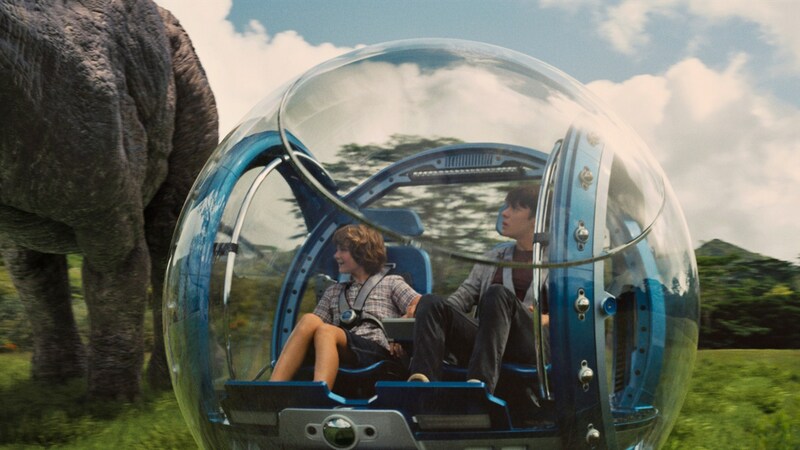 Bryce Dallas Howard is strong as the ultra job-focused Claire who doesn’t know exactly how to interact with her essentially estranged nephews (played by Ty Simpkins and Nick Robinson) but develops into a loving aunt (recalling the development of Dr. Alan Grant’s [Sam Neill] love for the kids in Jurassic Park). Irrfan Khan is suitably shortsighted in what amounts to Jurassic World’s rebirth of Richard Attenborough’s John Hammond and Jake Johnson ably provides some of the film’s comedic tension breaks. In immediate (and technically alterable) retrospect, I realize that it sounds like I hated Jurassic World. I didn’t. 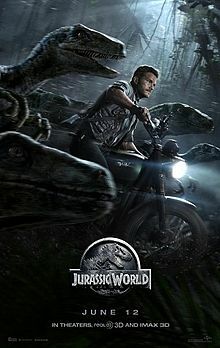 I actually found it pretty entertaining and exciting for the most part and I consider it the best sequel in the series, but given what Jurassic Park was able to accomplish, I wanted more than empty thrills from this movie (admittedly unreasonable expectations, given the direction that the other sequels took). Jurassic World is a pretty fun movie and honestly, it’s fine that that’s all it is. I just foolishly couldn’t help but ask for more from it. P.S. I was very happy to see actor Eric Edelstein in his small role as the “Paddock Supervisor”. 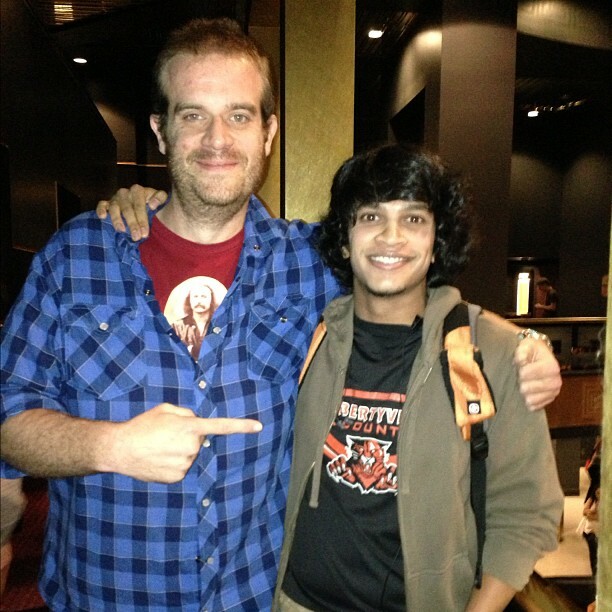 I recognized him at a film festival a couple years ago from a few appearances in Parks and Recreation and had a chance to briefly chat with him… really nice guy and glad to see that he’s getting work in big stuff.